Why Is the Priesthood of Jesus Such a Big Deal? In Hebrews 7, the author of Hebrews carefully explains the way in which the priesthood of Jesus annuls the old, Levitical priesthood. The priesthood of Jesus, after the order of Melchizedek, is a better priesthood, established through a better covenant on better promises. 23The former priests were many in number, because they were prevented by death from continuing in office, 24but he holds his priesthood permanently, because he continues forever. 25Consequently, he is able to save to the uttermost those who draw near to God through him, since he always lives to make intercession for them. So, what makes the priesthood of Jesus such a big deal? Anyway who has ever dealt with poor customer support on an issue that got passed from one representative to another without ever finally getting solved understands instinctively why this is such a big deal. Every time you talk to a new rep, you have to re-explain the situation to someone else. Information gets lost, coordination doesn’t happen, and your problem never really gets resolved. If we are merely talking about getting a small refund on a defective product, maybe this isn’t such a big deal. But when we are talking about the totality for our salvation, then this is a huge issue. Imagine if some critical ball were dropped somewhere along the way, not handed off properly between a change in priests! Imagine if the priests upon whom you were depending were never finally able to offer enough sacrifices or prayers for you, limited as they were by death! But Jesus is the priest who never resigns, never passes us off to someone else, and never ceases to make intercession (that is, to pray) for us. Even though he died, he was raised from the dead, and he now ministers forevermore as our priest by the power of an indestructible life. Consequently, Jesus is the priest who will personally ensure that we are saved to the uttermost, as he himself escorts us as we draw near to the Father through him. But even if those priests were able to minister for a longer period of time, their ministry was necessarily incomplete, because they themselves did not minister from their own perfect righteousness. 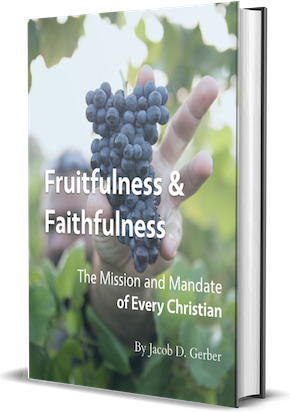 Our God’s perfect holiness demands more than a sloppy, half-way ministry, but a perfect, full, complete-in-every-way ministry, with an absolute righteousness from beginning to end. Thus, it is “fitting” (necessary, requisite, crucial) that we should have such a perfectly righteous high priest as Jesus, since our salvation required nothing less. Jesus ministers not from weakness, but from power. Jesus offers sacrifices not for himself first, and then for us, but he actually offers up himself because there could be no more pure, spotless, blameless sacrifice than his own broken body and shed blood. Jesus serves as priest from his infinite stores of righteousness; he does not, as the priests of the old covenant did, serve as priest merely on the basis of the law. This means that Jesus is the priest about whom we will never read any scandal. Many people have trouble becoming Christians because of the scandals that have been perpetrated by Christians. Indeed, Christians are weak and imperfect, and many who profess to be Christians are, in fact, wolves in sheep’s clothing. But Jesus, on the other hand, is perfect, spotless, and scandal-free. This means that Jesus is the priest who will never lead us astray as he leads us to his Father, since he himself is perfectly righteous. If you have ever had reason to doubt the counsel of a pastor or another religious leader (especially the ones on TV who only seem to be interested in having you exercise your faith by sending a donation), you never have a reason to doubt the counsel of the righteous high priest Jesus Christ. He is perfectly qualified to act as a true high priest, being holy, innocent, unstained, separated from sinners, and exalted above the heavens. The priests of the old covenant offered sacrifices daily, “first for his own sins and then for those of the people.” But Jesus offered the perfect sacrifice “once for all when he offered up himself.” Even a perfect priest could not do his work properly if he were to offer up an imperfect sacrifice, since the holy God must accept the sacrifice. Jesus fulfilled his perfect priestly office by offering up once for all the perfect sacrifice–himself. When the author of Hebrews contrasts that Jesus only offered up one sacrifice, compared to the daily sacrifices of the Levitical priests, he isn’t commending Jesus’ raw efficiency, as though Jesus simply built a better mousetrap. The author is commending the perfection of Jesus’ sacrifice as actually completing the task, whereas all the other sacrifices of the old covenant were provisional, looking forward to the coming of Jesus. If you deal with a deeply wounded, guilty conscience, the battle that rages in your mind hinges on the question of whether or not you can be forgiven. After what you have done, how could God possibly forgive you? Even if a priest should offer a thousand sacrifices on your behalf, how could the blood of bulls and goats possibly tip the scales in your favor on judgment day? But the better sacrifice of Jesus holds out real peace and real hope. When Jesus proclaimed that, on the basis of his resurrection, repentance and forgiveness of sins should be proclaimed in his name to all nations (Luke 24:47), he did so with confidence, knowing that he offered a perfect sacrifice. Through faith, you can experience the sure assurance of the forgiveness of sins not because of your ability to atone for your own sins, nor on the basis of an animal sacrifice, but because the eternal Son of God offered himself up as a perfect sacrifice for you, once for all. Moreover, this sacrifice proclaims to us the great love of our priest–and of our sacrifice–for us. Animals do not willingly offer themselves in love as sacrifices. Jesus, on the other hand, offers up his own body to be broken, and his own blood to be shed, not because he was too dumb to realize what was happening as he was led like a lamb to the slaughter, but because he knew exactly what was happening, and he willingly went to his death rather than appealing to his Father to send twelve legions of angels to rescue him. And he willingly did so because he loves you.